Minapre Hotel was built in 1926 after the original town Hotel was destroyed by fire. 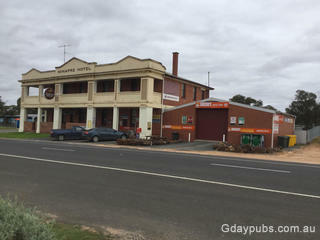 This grand county pub provides a meeting place for the small township of Lascelles and the farming region beyond and is famous for its icy cold beer. The 2006 census the stated that Lascelles had a population of 114. 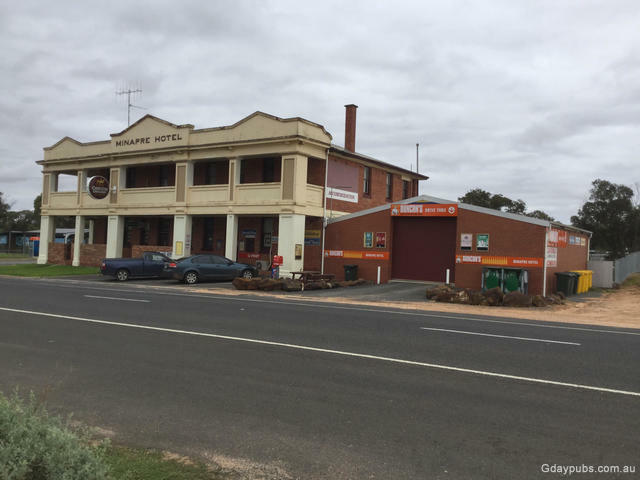 The town was originally was established as a station on the Mildura railway line and was named after Edward Harewood Lascelles, owner of the Minapre grazing property in the area and a partner of wool-brokers Dennys-Lascelles. The Post Office opened in 1903 when the railway arrived. In 1917, after an abnormally warm winter, the mice population of Lascelles was so large that the mice filled every square inch of ground. More than 1,500 tons mice - it is estimated that there were over a hundred million - were slain before the outbreak was finally tamed.